Just like the last bowl, there is no real recipe to follow - just use whatever you have - usually I try to include a variety of grain, some veggies and either tofu or beans of some sort. The dressing for this is so good. Get excited. Mix all dressing ingredients well until there are no lumps and set aside. 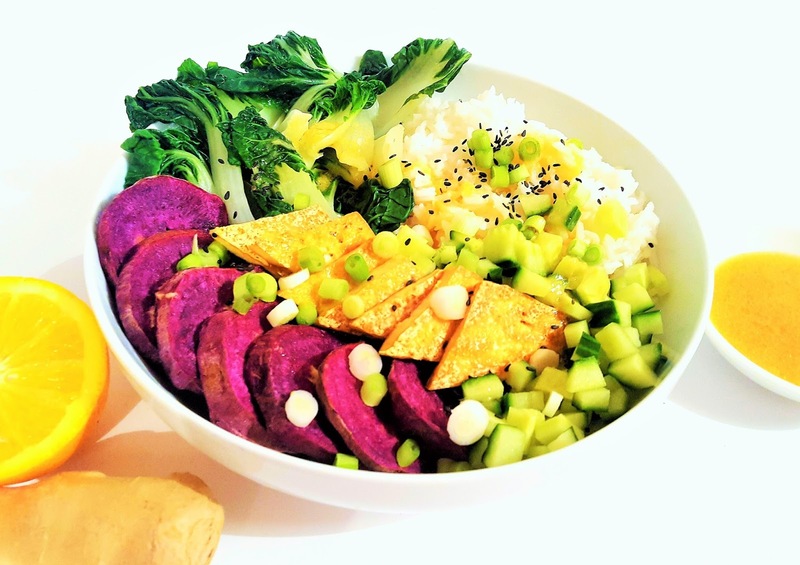 Arrange your Buddha bowl with your chosen ingredients. Top with sesame seeds and spring onions. Drizzle over some miso dressing and ENJOY.